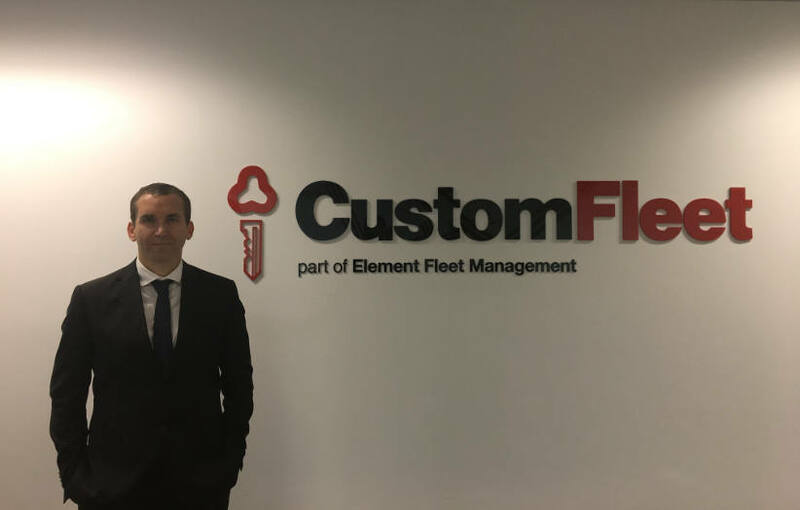 Fleet Auto News spoke to Custom Fleet’s Chief Financial Officer, Damien Berrell, following an announcement from its Canadian parent company, Element Fleet Management, that a new $1 billion securitisation facility has been negotiated for its Australia and New Zealand operations. What has changed for Custom Fleet since the Element acquisition in 2015? A lot. We have implemented a new market-leading operating system that is at the core of our growth strategy. Having our data centralised in one system and readily available to all Australia and New Zealand customers through one portal is central to delivering on our customer value proposition. That’s just part of a comprehensive technology infrastructure transformation which means no software or hardware deployed at Custom Fleet today is over three years old. From a people standpoint, we have also been able to attract some of the best talent in the industry to the Custom Fleet team. We now have the right balance of traditional fleet industry expertise complemented by elite digital era skillsets in data science and technology development which is charting our roadmap to improved and emerging, services and products. From a financial perspective, since acquisition the company has had three consecutive years of strong growth, a trend not seen for over a decade. What benefits are Custom Fleet customers experiencing from having Element as the parent company? Our customers benefit from having the world’s largest fleet organisation working for them. Element’s global alliance with Arval unlocks unparalleled expertise for our customers. With over three million fleet vehicles under management in over 50 countries, we have access to best-of-breed fleet technology and unprecedented experience in solving even the toughest fleet challenges. How has the organisation been performing in 2018? Really well considering our growth has been 100% organic. In 2018, the number of new leases we originate will be close to 150% of where we were at the time Element acquired Custom Fleet. We are winning more customers, taking back market share, growing our portfolio and, in turn, growing revenue and profitability. What services have been driving growth for the organisation? We continue to do well in financing, managing, and servicing vehicles which are core services within the industry. However, continued maturing of connected car technologies means our customers are increasingly embracing telematics and pool car solutions as a strategic route to achieving fleet safety and productivity objectives. What services are targeted for continued growth at Custom Fleet going forward? We have made substantial strategic investment in technology that positions Custom Fleet at the forefront of Mobility-as-a-Service (MaaS) and the connected car solutions which is where we forecast there will be fleet industry growth. When coupled with our development in data and business analytics strategy, Custom Fleet will lead the market in providing customised predictive analytics on our customers’ fleets. What is the most important value proposition Custom Fleet brings to the A/NZ market? We differentiate in three main ways. Firstly, Custom Fleet has unmatched technology for integrating and aggregating incredible amounts of fleet data before synthesising it into business intelligence that can positively impact the bottom line. Our system can ingest information from multiple sources such as telematics units, fuel companies, maintenance shops, repairers, weather bureaus, transport authorities – you name it – and use this information to improve efficiency, reduce cost of ownership and enhance safety for all our fleets. Secondly, we have an unrivalled global connectively through the Element-Arval alliance. We offer global organisations on-the-ground fleet support in over 50 countries plus a breadth of experience that means there are not too many fleet-related problems that haven’t already been solved somewhere within this network. Our third core value proposition is our Strategic Consulting team. When you combine our ability to analyse big data with the backing of a global network of best practices, the net effect is a world class strategic consulting team that offers a new paradigm in optimised fleet efficiency and safety. What is the significance to Custom Fleet’s operations and customers regarding the new $1 billion securitisation facility announced last week? The ‘Master Trust’ structure of this securitisation is the first of its kind in Australia which is a nod of approval to the expertise and technical capability of our Treasury team. For Custom Fleet, it expands our optionality and diversification of funding our leases. For our customers, it ensures we continue to remain ultra-competitive on pricing by leveraging the competitive tension that multiple funding sources provides. How does the securitisation facility change the way Custom Fleet conducts business going forward? The securitisation facility will have little impact on how Custom Fleet conducts business going forward. In fact, I fully expect most of our employees as well as all our customers and suppliers to see zero difference in how they interact with Custom Fleet. It is just further verification from the financial sector that our business model is strong and sustainable and that we are an organisation they are keen to transact with.